Mia Mends is the CEO of Sodexo Benefits & Rewards Services in North America. She leads the strategic evolution and growth of the business, with a focus on delivering outcome-based employee engagement solutions through recognition, learning and well-being programs and platforms. To accelerate growth in these markets, Sodexo acquired Inspirus, LLC, in 2016. Inspirus is a leading provider of employee engagement solutions and is led by Mia under Sodexo Benefits and Rewards Services. Mia was amazing to speak with. She has an authenticity that surrounds her that you don't find in a typical CEO. Non-intuitive negotiation tips that helped Mia secure a large acquisition and that can also help you in challenging situations. Cheryl Porro is the SVP of Technology & Products at Salesforce.org. Salesforce.org is a social enterprise that gets technology in the hands of nonprofits and education institutions. Cheryl’s story is fantastic as she articulates how she went from being being a Punk-rocker in her twenties to a senior executive at one of the largest SaaS companies in the world. Heidi spent 17 years at Adobe working her way up from Engineer to Engineering Manager. 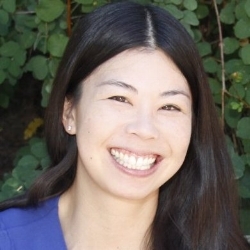 In addition, she led product management and strategic engagements where she worked with NBC Sports and Adobe Primetime delivering an Emmy-nominated mobile video experience for the 2012 Olympics. Heidi was also the VP of Platform Engineering at Box. Last year, Heidi left Box and launched WEST, a mentorship program for mid-career women in tech. Fern Mandelbaum is an entrepreneur, coach, teacher, and investor. She is the Managing Partner at Vista Venture Partners and is also a lecturer at the Graduate School of Business at Stanford where she teaches two classes on Entrepreneurship and a class on Diversity & Inclusion. Since 1998, Fern has worked with CEO’s helping them develop and refine their business concepts, recruit management teams, key advisors and board members, implement fund raising strategies and establish strategic alliances. She also works with companies on leadership, culture, and inclusiveness. Shanna Tellerman is the Co-Founder and CEO of Modsy. This is a bit of a different interview since I typically don't interview founders, but Shanna is awesome and we had a fantastic conversation. Shanna also has great experiences during her time at Google Ventures and Autodesk. In this podcast I interview my dear friend Jen Evans, who’s the VP of Strategy at Constellation Brands — a leading company in wine & spirits. After business school, she spent a summer in Napa learning about the wine industry and took the first steps of what would become a long career there. In the episode, she discusses in detail the thoughtful approach that took her all the way to VP. I’m sure you’ll find it as insightful as I did. Tips on how to pick out wine at a grocery store! Today's guest is Julie Knight Ludvigson, CMO of Reflektive. Prior to joining Reflektive, Julie ran Global Enterprise Marketing for Zendesk where she led all manner of field, partner and integrated marketing for this business unit. 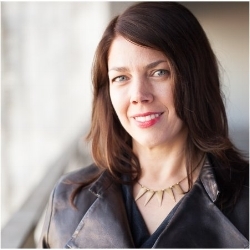 Starting in early 2012, Julie joined SAP SuccessFactors where she held numerous marketing leadership roles including Global Program Marketing for SAP, Global Marketing for HR LoB, and Global Field Marketing for SAP Cloud. Today's guest is Kellie McElhaney, Professor at the Haas School of Business, author of the book “Just Good Business”, and founding director for the Center for Gender, Equity, and Leadership. Kellie has worked with over 1000 companies and organizations in her areas of expertise and she was gracious enough to share her learnings with us. 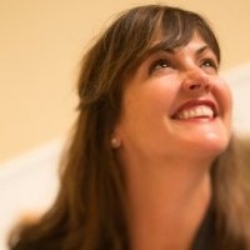 My first guest is Anne Raimondi, SVP of Operations at Zendesk. I've known Anne for several years and have admired her career from afar. 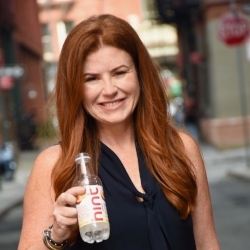 Anne has spent time at both large corporations like Bain and eBay as well as at many smaller startups including Blue Nile, Zazzle, Survey Monkey, and Task Rabbit before she landed at Zendesk. In her time, she has also held many functional positions ranging from product, to marketing, to HR, and now operations. What is Executive Presence and how can we all master it?